A new play will explore the “compelling, colourful, deeply divisive” career of Boris Johnson. Shadow chancellor John McDonnell has stood by his description of Sir Winston Churchill as a “villain”. Prime Minister Theresa May has made clear her admiration for her predecessor Sir Winston Churchill, after shadow chancellor John McDonnell branded him a “villain”. 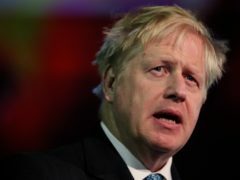 Former foreign secretary Boris Johnson has called on shadow chancellor John McDonnell to withdraw his description of wartime prime minister Sir Winston Churchill as a “villain”. Shadow chancellor John McDonnell has branded Winston Churchill a “villain”. Limmy has celebrated after Piers Morgan called him a “disgusting piece of s***” on Twitter. The four women moved quickly and quietly in the direction of the dark outline of Dudhope Castle. It was a landmark moment in the history of the suffragette movement north of the border. Councillors have voted overwhelmingly to name a new Dundee street after suffragette Ethel Moorhead rather than former prime minister John Russell. 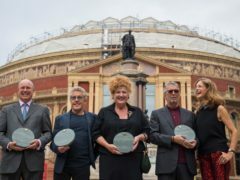 The chief executive of the Royal Albert Hall said the institution is “not just a venue for classical music” as icons of its history were honoured. Gary Oldman has said he proposed to his wife while dressed as his latest film alter ego, Winston Churchill. Actor Gary Oldman has joked that his casting as legendary former prime minister Winston Churchill was a “ridiculous” choice. 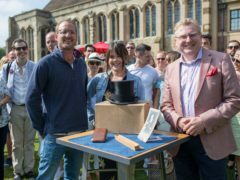 A man bearing an uncanny resemblance to Winston Churchill off the new £5 notes has been pictured in a pub.